Hack-and-slash fans can now rejoice, for Bayonetta will finally release on Steam today! Developed by Platinum, the game will release with 4k support, along with advanced options. That will not be all however, as those who purchase the game before April 25th will also receive five songs from the soundtrack, a digital artbook, and exclusive wallpapers and avatars. It seems the free video game, 8-Bit Bayonetta, had teased this news for a while since it’s release at the end of March, along with the teaser website that counted down when the game would be released. According to Gematsu, the website Engadget, leaked the news earlier. The article was deleted however. 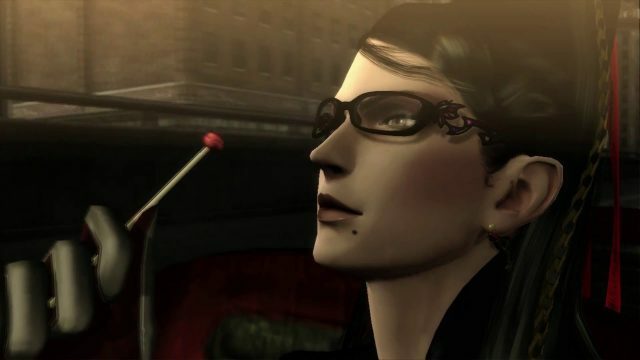 Bayonetta previously released on the PlayStation 3 and Xbox 360 in 2009 in Japan, and later released on the Wii-U in 2014 alongside the sequel, Bayonetta 2; you can find our review of that over here. There was even an animated movie released for this series, which you can check out our review over here. There is currently no news about Bayonetta 2 releasing for Steam, or if the bonus costumes in the Wii-U version of Bayonetta will be with the Steam version. Do you think it will be released on Steam eventually, or perhaps on the Switch? Will you pick up this game right away to snag those bonuses, or to play the game as soon as possible? Be sure to let us know in the comments below!